Matthew Boulay (b. 1970, Arizona) lives and works in Salem, Oregon. 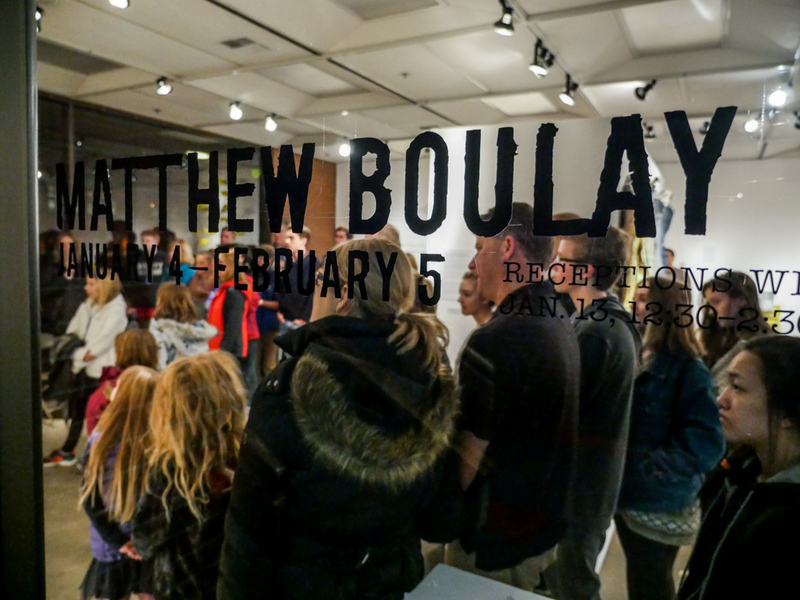 Boulay’s work is typified by his exploration of issues such as collective memory and the experience of war, and his use of materials that are tactile and complicated. He works in multiple media, including painting and large-scale installations, and frequently engages in inter-textuality with other works from the visual arts, literature, and history. 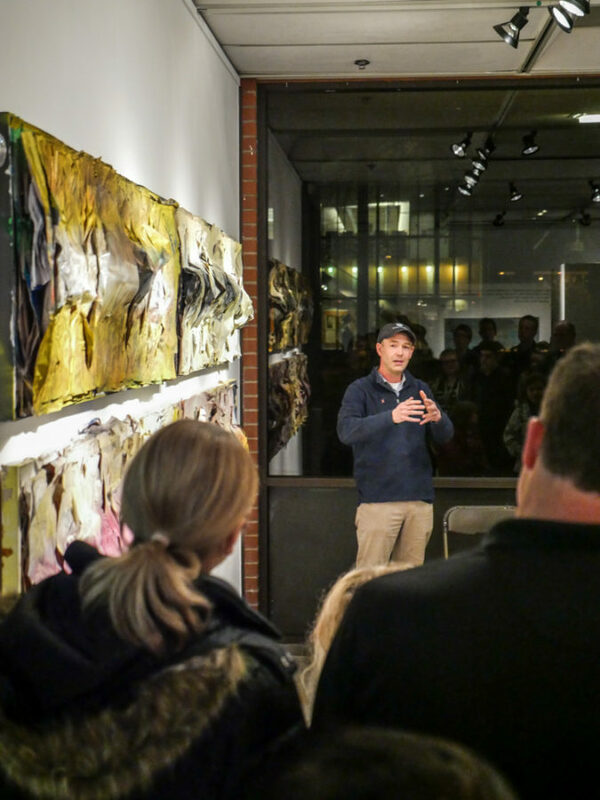 Boulay has studied in Baltimore, New York and Madrid, and his work is greatly informed by his experiences as a Marine in Iraq. He holds a PhD from Columbia University’s Teachers College, led the Campaign for a New G.I. Bill, and is the founder of the non-profit National Summer Learning Association. As a veteran, I see the present through the lens of our complicated and contradictory history of warfare. I aim to create art that is interactive, visually appealing, and intellectually challenging, and I try to pose questions such as: What is the difference between a piece of art and a monument or memorial? Or, what do we collectively choose to remember and what do we allow ourselves to forget?